Labor Day 2016. Come and gone. Worcester County Public Schools opened without me for the second time. A less sharp twinge this year as I breakfasted on the deck with my husband. We watched a young mother walk her daughter down our street to catch the bus for school. I made note of it, then allowed myself a second cup of peppermint tea. It was more than pleasant to sit, soaking up the glorious weather in the company of my spouse, with nothing in particular to do. 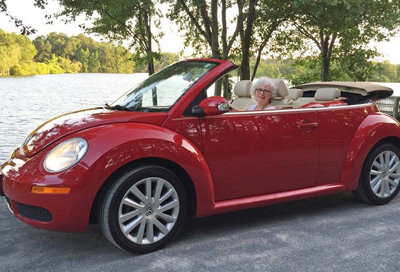 Later a long, relaxing shower outside and a drive to Snow Hill in the Beetle with the top down to deliver school supplies to Worcester County G.O.L.D. A little late, but better than never. Lunch, on the deck again, an afternoon nap, and a visit to the beach with book in hand. That evening a free performance of Shakespeare in the Pines. All in all, a good first day of school for me. I do miss the excitement that always accompanies the beginning of a new school year. I also miss interacting with students and colleagues. I miss the challenge of trying to reach kids. I miss sharing what I know. And, every time I see a play, I miss designing, interpreting. and directing a piece of theatre. Mostly, however, I find that I have no desire to be back in the classroom (though the Black Box Theatre at SDHS will somehow always feel as if it is mine). I loved my job. I think I did it pretty well. And now I’m trying retirement. It’s my new job. I’d like to do it pretty well, too.